2.Grind tomato, soaked cashew nuts, green chillies and ginger to a smooth paste. 3.Heat oil or butter in a kadai,add cumin seeds when it splutter add onions and Saute onions till golden brown. 4.Add redchilli, garam masala, coriander all the dry powders and mix well. 6.When oil starts separating, add kasuri methi leaves Stir fry. 9.Now the tomato &peas curry is ready and serve hot with Rice, Roti, or Naan. Yummy dish for rotis.. heart warming home made dish:) Lovd it.. Delicious, creamy & flavorful curry!!! 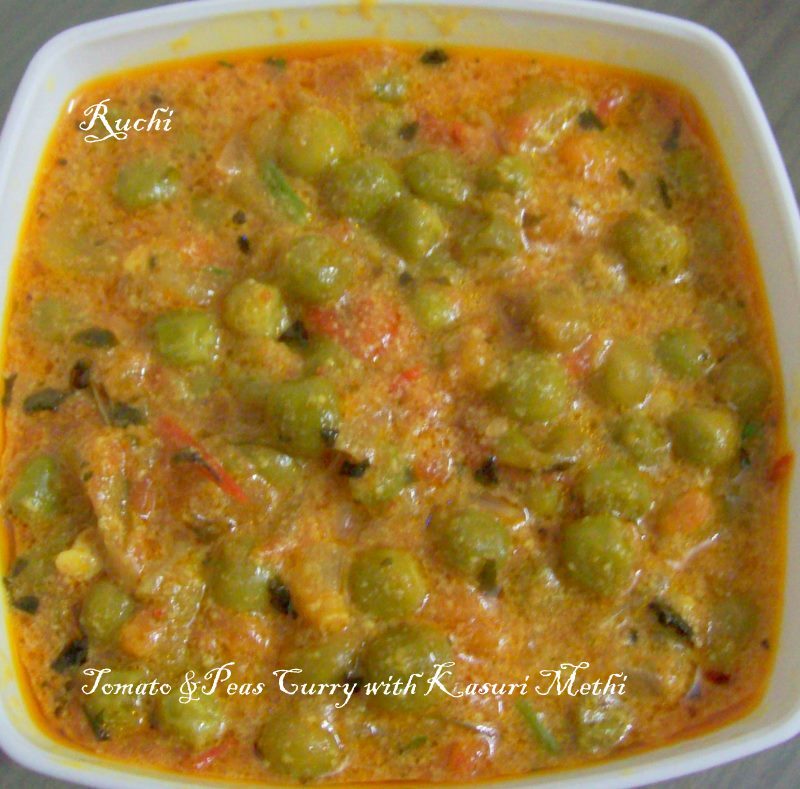 Wonderful healthy side dish for rotis..
Looks very rich! Wish to have with roti!